Woodlice infestation in Somerset & Dorset? Our technicians will assess the problem and propose a sensible treatment programme of eradication. Because wood lice prefer damp environments we will often suggest better ventilation and in some instances a dehumidifier to dry out an area where the woodlice have set up residence. Why are woodlice a problem? Woodlice are harmless to humans but like all insects in sufficient numbers can become a pest. They are only found where the humidity is high and can cause damage to soft fruits. Woodlice are grey/brown animals with a shielded surface. The adults are approximately 5 – 17mm long dependent on the species. Woodlice can roll up into an almost perfect sphere as a defence mechanism. All woodlice need a damp environment to ensure their survival. Adult can live for many years and females can have up to 200 offspring. Young woodlice are normally found in soil where they feed on fungal moulds and decaying plant material. Why use Helliar woodlice control? 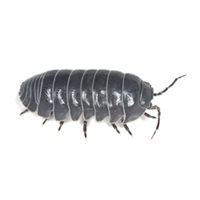 Our experienced technicians will advise on the best way to eradicate woodlice. Friendly staff and no automated telephone lines. Established local business trading in Somerset and Dorset for 80 years. Discreet service at a time to suit you. How do I get rid of Woodlice?